Affective labeling of multimedia content can be useful in recommender systems. In this paper we compare the effect of implicit and explicit affective labeling in an image recommender system. The implicit affective labeling method is based on an emotion detection technique that takes as input the video sequences of the users’ facial expressions. It extracts Gabor low level features from the video frames and employs a kNN machine learning technique to generate affective labels in the valence-arousal-dominance space. 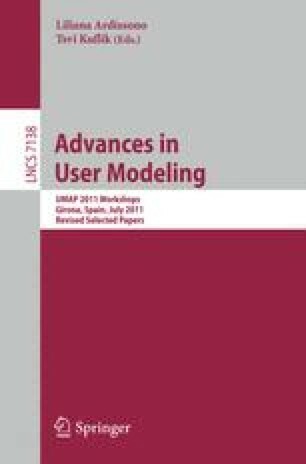 We performed a comparative study of the performance of a content-based recommender (CBR) system for images that uses three types of metadata to model the users and the items: (i) generic metadata, (ii) explicitly acquired affective labels and (iii) implicitly acquired affective labels with the proposed methodology. The results showed that the CBR performs best when explicit labels are used. However, implicitly acquired labels yield a significantly better performance of the CBR than generic metadata while being an unobtrusive feedback tool.